Another season is upon us. Sharing laughs and having a great time with friends and family are all part of the camping experience. Life doesn't get much better! Come join us, and have a blast. All Campers - We have firewood for sale to our Campers. $25 for a full Backhoe Bucket. We will bring it to your Camper - you stack.... Contact us now to ensure you get seasoned wood. We also have gravel for sale to our campers. $25 per Bucket. Please review the Camping Rules regarding use of the Sewer. All Campers You are required to install a backflow prevention device (vacuum breaker) and a water pressure regulator on each water supply to each campsite (all water valves) per the Health Dept and the Camping Committee. You will not be allowed to connect water to your camper without the devices. Please do not waste water! Excessive water use will increase your fees! We have found showers left on in the Campground Bath House - Please help us keep the camping fees to a minimum. Report issues to the Caretaker, any Committee Member or Board Member. 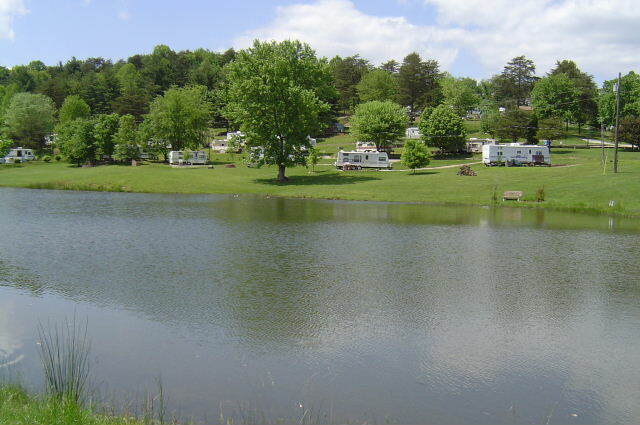 All Camping Sites (exception - Tent Sites) have acquired Sewer during the 2015 season. 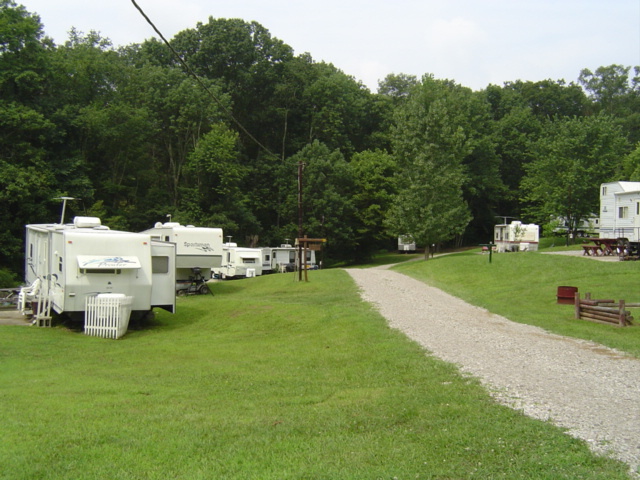 Guidelines have been created for the Campground Sewer Usage. Please refer to Camping Rules. Once again we will be conducting an assessment on all campsites (this spring). Review of Patio's, wheel pads, water supplies, electric, sewer and condition of Camper. We will have an open house in May or early June to review the assessment with all long term campers and to listen to suggestions you may have to improve the campground and your site. Please use the links located on the main page. Please communicate this info to others whom may not have access to this website. Attention All Campers - If you would like to be part of the Camping Committee, please contact a Camping Committee Chairperson today. We have many projects to complete this year. All Members = Join one of our work parties, each and every weekend throughout the year. All help is needed and appreciated. Camping Committee Chairpeople = Larry Becher - Preferred contact method = email [email protected]. Camping Waiting List is not updated automatically. Requests are kept in the order they were submitted and the list is updated twice a year around August and May. CURRENT MEMBERS ONLY-Click HERE to be placed on the Long Term Camping waiting list. If your Membership Fees were late - you will be removed from the waiting list. Members - The club will have temporary sites available for the 2019 season. We will have 5 temp sites with water, electric, sewer and firewood at $20.00 per night. Special rates for weekly and monthly stays on sites C1, C2 and C3. We also have 4 tent sites with electric and firewood ($8.00 per night). All sites have a fire pit. You can camp one night, two nights, two weeks or longer if available, please read Camping Rules for more information . You must be a member of record to reserve a camp site. Please contact the Camping Committee Chairperson for questions or to reserve a camp site. FYI = you may also rent the site for the day - picnic, etc. We ask that you pay a donation when using excess firewood for campfires. Temporary Camping Reservations = Preferred contact method is by email. No reservations prior to Jan 2nd. Only one selection (1 to 14 days) may be made prior to May 1st. The club has a camper storage lot available. A fee of $160.00 a year. Proof of insurance will be needed and also sign a release of responsibility of our club. At this time there is a waiting list, any member interested, please contact the Camping Committee Chairperson.. Please contact the camping chairperson if you will not be renewing your camping spot or your storage space this year. The Camper Storage Waiting List, Trailer Agreement Letter and drawing of the Storage Area. Storage Waiting List has been updated. Long Term Camping Fees = $350 per year. The Total Long Term Camping Fees are $350 . If your Membership Fees are late and your were on the Camping Waiting List, You were removed from the Camping Waiting List. If your Camping fees are late (after May 1st) you could possibly lose your camping spot. Click to view rules, click back button to return to web site. It is your responsibility to review these rules. The Long Term Camper is responsible for all Wheel Pads/Patios. (refer to pad dimensions). Any and all changes or upgrades to campsites must be approved by the Camping Committee - refer to Camping Rules. We have 10% parts discount cards available from Burdette's Camping Center. Please contact a Camping Committee Chairperson.